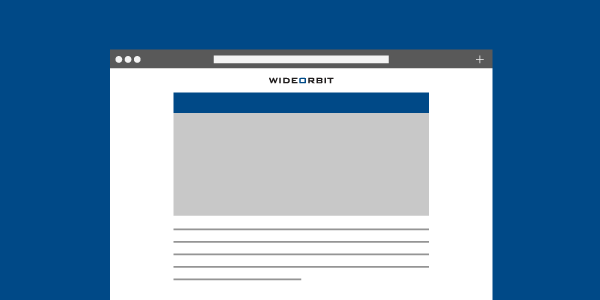 Three Reasons to Start Buying Programmatic TV Today - WideOrbit Inc.
Digital ad buyers are starting to give serious consideration to Programmatic TV as a great option for boosting reach and brand visibility. A big driving factor is that Programmatic TV gives digital buyers the opportunity to buy TV with the same disciplines they already use, like applying an unlimited number of data sets to targeting. Despite everything you’ve seen about the ascendancy of digital, TV still engages more viewers of all ages than any other medium. A 2014 GfK study shows that nearly 85% of people in the United States were reached by television in the last 24 hours, while digital ad formats like, social media, mobile, native advertising and search advertising reached at best half that percentage. And it’s definitely not all oldsters driving TV’s superior audience penetration; Deloitte’s 2015 Digital Democracy Survey found TV is the most viewed medium by 14-25 year olds.Add to that the superior brand lift experienced by nearly every industry that runs TV campaigns, and TV remains the uncontested best option for hitting the greatest possible proportion of your target market with a timely, effective and memorable brand message. A 2015 Marketshare report found that TV outperforms search, display and direct marketing for driving sales, consumer awareness and interest. Thanks to our strong standing relationships with some of the nation’s best-known station groups, WO Programmatic TV offers an incredibly wide variety of inventory, programming, dayparting and geo-targeting options.We have stations all over the country offering spots on programming that ranges from national network hits and syndicated favorites to local programming and live sports events. Through our platform, ad buyers can easily place 15-, 30- and 60-second ads that reach 74% of the nation’s households, including 20 of the top 25 markets (as of February 2016) at any time of day. And since TV is 100% deliverable and fraud-free, you’ll never have to worry about whether your ad actually ran or was viewed by actual live humans. With no upfront costs, subscription fees or special equipment, it’s practically effortless to get started with programmatic TV. Within hours of activation, you can log in to our Buyers Console and start targeting audiences with your Nielsen subscription, proprietary first-party data, or any other data set you can think of. Once you’ve selected where your spot will run and made an offer for the time, you can upload broadcast-quality creative files. You’ll know within 48 hours whether your offer is accepted and when your ad will air.The post-buy experience is a lot like your experience on digital platforms. To make well-informed campaign optimization decisions, you’ll have access to all of the analytics and charts you’re already familiar with. Finally, billing and reconciliation is a snap with all the same clearance features you’re accustomed to from your digital buying activities. Curious about getting started with WO Programmatic TV? Connect with us today or mail us at ptvinfo@wideorbit.com. We’ll get back to you as soon as we can to arrange a personal demo and discuss how our system can meet your needs.